Healthy Inside ~ Fresh Outside..!! 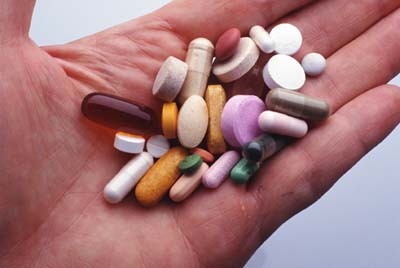 : Supplements: Nutrition in a pill? Supplements aren't for everyone, but older adults and others may benefit from specific supplements. The most recent Dietary Guidelines for Americans make it very clear that your nutritional needs should be met primarily through your diet. For some people, however, supplements may be a useful way to get nutrients they might otherwise be lacking. But before you go shopping for supplements, get the facts on what they will and won't do for you. Supplements aren't intended to be a food substitute because they can't replicate all of the nutrients and benefits of whole foods, such as fruits and vegetables. So depending on your situation and your eating habits, dietary supplements may not be worth the expense. If you're generally healthy and eat a wide variety of foods, including fruits, vegetables, whole grains, legumes, low-fat dairy products, lean meats and fish, you likely don't need supplements. Avoid megadoses. In general, choose a multivitamin-mineral supplement that provides about 100 percent of the Daily Value (DV) of all the vitamins and minerals, rather than one which has, for example, 500 percent of the DV for one vitamin and only 20 percent of the DV for another. The exception to this is calcium. You may notice that calcium-containing supplements don't provide 100 percent of the DV. If they did, the tablets would be too large to swallow and wouldn't be absorbed. Check expiration dates. Dietary supplements can lose potency over time, especially in hot and humid climates. If a supplement doesn't have an expiration date, don't buy it. If your supplements have expired, discard them. Watch what you eat. Vitamins and minerals are being added to a growing number of foods, including breakfast cereals and beverages. If you're also taking supplements, you may be getting more than you realize of certain nutrients. Taking more than you need is expensive and can raise your risk of side effects. For example, too much iron can cause nausea and vomiting and may damage the liver and other organs. The Food and Drug Administration (FDA) keeps a list of dietary supplements that are under regulatory review or that have been reported to cause adverse effects. If you're taking a supplement, it's a good idea to check the FDA website periodically for updates.